Football season is finally here, and it’s the perfect time to get together and tailgate for your favorite team. 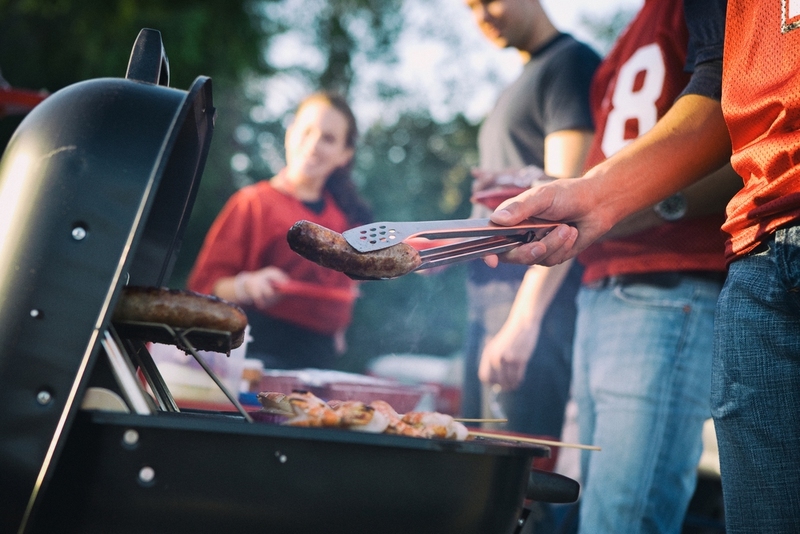 We know how hard it is to prepare everything days before, so we’ve provided the best hacks and tips to make your tailgating party a breeze. Get There Early: Give yourself plenty of time to get as close to the stadium as possible, as well as having enough time to eat, relax and clean up before the game starts. Laminate Your Checklist: If you tailgate often, check off your list with a dry erase marker. That way, you can erase and easily save it for the next game. Laminating it also gives it protection against tailgate food. Water Bottle Two-Ways: Freeze water bottles the night before and use them as ice packs to keep you cool under the sweltering sun for hours. Once the ice has melted, you’ll have water to keep you hydrated. Contain Your Condiments: Use a six pack holder to carry around your condiments without struggle. You can also find other great uses for this carrying case. Hands-Free Dishes: Create easy-to-eat food for minimal clean up. Walking Tacos are the perfect tailgating recipe. Just put your ultimate tailgating party ingredients–cheese, ground beef, salsa–into Frito bags and eat on the go. DIY Drink Lids: To keep bugs away while you’re busy rooting for your team and trash talking the opponents, use cupcake liners as lids on your mason jar drinks. Don’t worry–this work just as easily on cans. Find Your Way Home: It can be crazy with everyone leaving the game at the same time and trying to remember where they parked in a sea of cars in a large lot. Attach something tall and unique, like a flag or balloons, to your car so you and your party can find your way back at the end of regulation. Want another fun way to organize your gear at the ultimate tailgating party? Bring a hanging shoe organizer and put it to good use! Place all your items–like cups, condiments and even sunscreen–in the various compartments. This way, all your go-to essentials are in one place that is easy to reach.